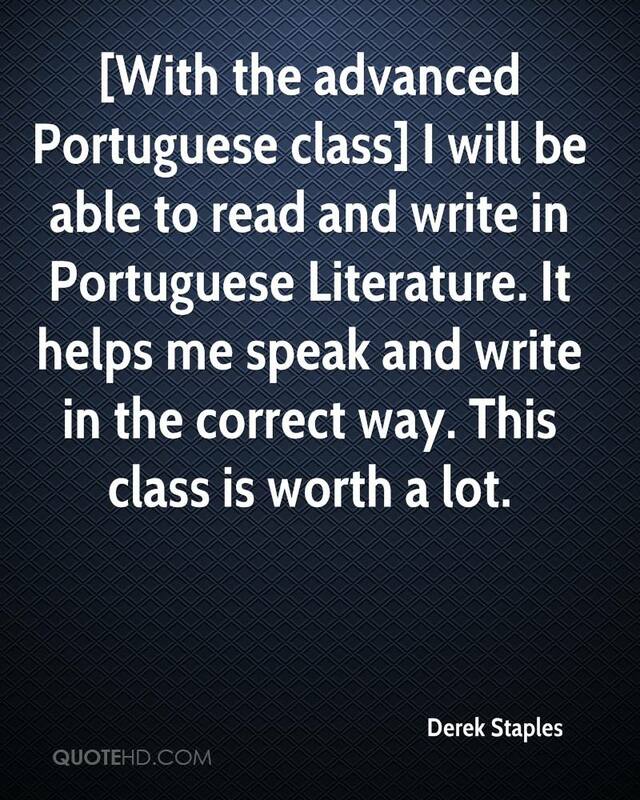 [With the advanced Portuguese class] I will be able to read and write in Portuguese Literature. It helps me speak and write in the correct way. This class is worth a lot.